How does SparkyHelp and Electrical Contracting fit together you may ask. It is the perfect match. Whilst still offering training and free tips to fellow Electricians, it is important to bring the same level of expertise to our clients. It is for that exact reason that SparkyHelp Training Services decided to expand it’s service to that of Electrical Contracting. Let’s face the facts. 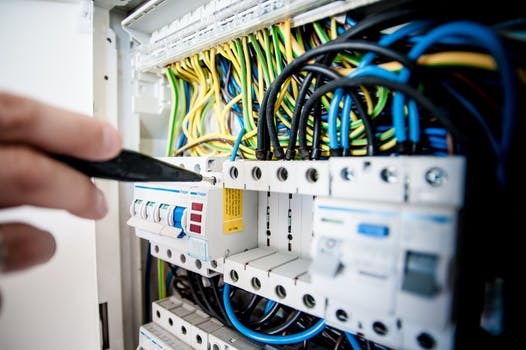 There are a lot of very good Electrical Contractors available which does sometimes make it a hard choice for clients. The way we operate is in the establishing long term working relations with our clients. This is achieved by fantastic service levels, professionalism and top notch quality. Up to this point it is pretty much what every good Electrical Contractor should provide. Now where we go to the next level. Why not put us to the test and let us show you how serious we are about being the number one electrical contractor?